A quick post to give a bit of background on the PhD research I am carrying out at present, as always, questions, advice and constructive criticism is welcome. Sand. That grainy stuff that covers vast swathes of the ocean floor. Although perhaps to the casual observer this habitat isn’t as exciting as coral reefs or seagrass meadows, delve a little deeper and you will discover that there is a whole lot happening out in the vast sandy stretches of the ocean. Sand or soft sediments cover most of Australia’s state and national waters and are heavily exploited by commercial and recreational fishing. Surprisingly, there has been little research into fish ecology on these habitats, with most effort expended on assessing fish found on coral reefs, rocky reefs, estuaries and seagrass. For a habitat that is so heavily exploited, there is a serious and immediate need to determine the basic ecology of the fish species present, the effects of fishing and also to examine the success of conservation efforts in place. More than 70% of Australia’s marine protected areas cover soft sediments, yet to my knowledge, both nationally and internationally there have been no studies looking at the effectiveness of marine protected areas in conserving soft sediment fish. My PhD aims to examine the ecology and conservation of soft sediment fish assemblages in temperate waters of South Eastern Australia. Baited Remote Underwater Video (BRUVs) will be used to provide a clear assessment of fish communities found on soft sediments, including in NSW marine park sanctuary zones (no-take zones), habitat protection zones (recreational fishing allowed) and areas outside of the marine park (that are targeted by both recreational fishers and commercial fishing vessels). In addition, I would like to further investigate issues surrounding the movement patterns of some of the soft sediment fishes in these assemblages using acoustic tracking. Often it has been argued that spatial closures such as marine parks will be of little conservation value over soft sediments as the fish are thought to show little site attachment in this habitat type. It is fairly common to hear people say “they’ll just swim in and out of the reserve and we’ll catch them on the outside”, but is that really true? In contrast to this view, my initial research inside Jervis Bay suggests that blue-spotted flathead (one of the major exploited species found on sand in SE Australia) move less than 500m within a 12 week period of acoustic tracking. Now that might sound like they aren’t moving around much and over the short term that is true, However without longer term data I can’t yet rule out that they that they do roam much further for spawning movements or other seasonal migrations. The next stage of tracking over 18 months will allow me to determine whether or not these longer range movements occur. 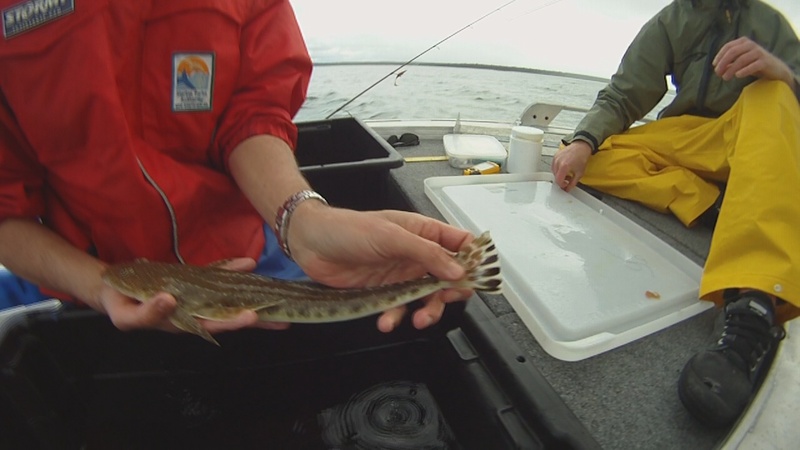 Blue-spotted flathead (Platycephalus caeruleopunctatus) ready for release after tagging. A frame grab from baited underwater video footage taken in Jervis Bay Marine park showing a Southern eagle ray (Myliobatis australis) and a Eastern fiddler ray (Trygonorrhina fasciata) investigating the bait. 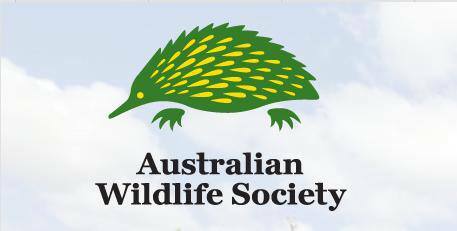 A big thanks to the NSW Department of Primary Industries, Seaworld Research and Rescue Foundation , Australian Wildlife Society and the Ecological Society of Australia for providing funds and support for various parts of my research. This entry was posted in Conservation, Ecology, Human Impacts, Marine Science and tagged Aquatic Research, Biology, BRUV, Conservation, Doctorate, Fish, Fish Thinkers, Fish Thinkers Research Group, Fisheries, Fishing, Marine, Marine Biology, Marine Park, Marine Research, PhD, Recfishing Research, Research, Underwater Photography, Underwater Video, University, Wildlife on March 4, 2014 by Lachlan Fetterplace. Check out some of the exciting research being conducted by my colleagues. The Nature Conservancy Australia would like to post an article on your recent Applied Conservation Award win for this project (congratulations!). I was wondering if we can feature one the photos in these post as part of our article? If so, can I you please let me know the photographer’s name so that they can receive a credit? Thanks Karen I very much appreciate the support from the Nature Conservancy, the funds will be very helpful in carrying out my field work. Matt and I at Fish Thinkers are big fans of the Nature Conservancy and follow your work closely so receiving the award was particularly special. The photos above are framegrabs from video footage taken by me, I could send you slightly better quality versions if you’d like. We also have a lot more photos over at http://instagram.com/fish_thinkers if you think any of those would be better suited, I can get you the photo credit for any of those that aren’t taken by me as well. Thanks again and stayed tuned for a detailed blog on the award and TNC after I receive the award at ESA14 in Alice Springs. It was a very well-deserved win and it’s great to hear you’re fans of TNC. The photo quality that you currently have is fine for our website, I’ll send you the link once it’s been uploaded. And I’ll definitely keep an eye out for your blog post re: ESA14, we may do a follow up article after the event.